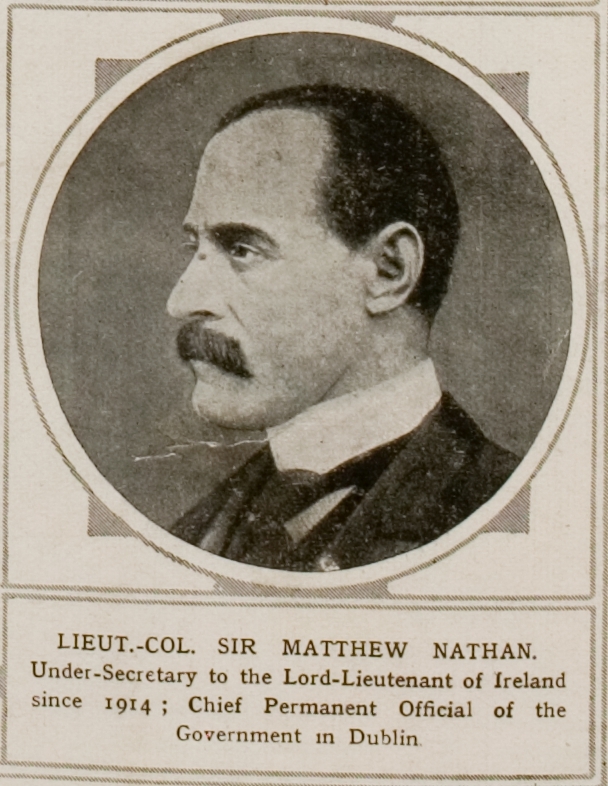 Sir Matthew Nathan (1862-1939) was under-secretary for Ireland, a key role in the British administration of the country, from October 1914 until he resigned, along with Chief Secretary Augustine Birrell, in May 1916 after failing to predict the 1916 Easter Rebellion. A royal commission of inquiry into the rebellion criticised both men. Nathan was born on January 3rd 1862, one of nine children of a Jewish couple, Jonah and Miriam Nathan (née Jacobs) of London. His father was a partner in a paper-making firm, and his mother, 25 years younger than her husband, had her children tutored at home and was influential in their choices of career. Nathan was commissioned in the Royal Engineers at the age of 18. After working in the War Office, he served in Africa and India (1884–95) and was appointed secretary of the Colonial Defence Committee. Before his appointment to Ireland, he had served as governor in Sierra Leone and the Gold Coast (1899–1903), Hong Kong (1904–7), and Natal (1907–9). He was given the honorary British titles CMG (1899), KCMG (1902), and GCMG (1908). In 1909-1911 he was secretary of the British Post Office and was later chairman of the Board of Inland Revenue in Britain. From October 1914, Nathan lived at the under-secretary’s lodge in the Phoenix Park (now the visitor’s centre) and worked at Dublin Castle. 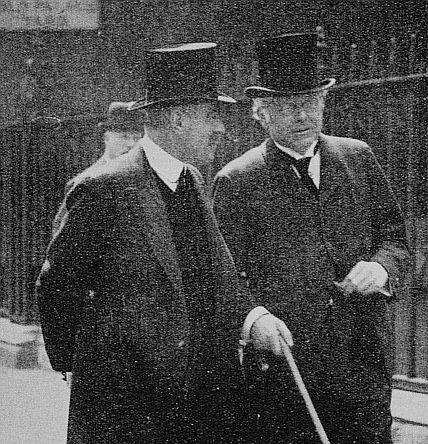 He built strong relationships with Irish leaders such as John Dillon, MP of the Irish party. He had previously worked for the British government in Africa and had met Dorothy Stopford Price’s aunt, Alice Stopford Green, through the African Society. Stopford Green, influenced by Roger Casement among others, had set up the society in 1900. Stopford Green’s aim was to campaign against the colonial abuse of Africans, although she was careful to include establishment figures with wider interests in Africa in the society’s remit. The Stopfords and the Nathans became friends and Dorothy spent her Easter holiday in 1916 staying with Sir Matthew in the Phoenix Park. Nathan learned of the Easter Rebellion at his office at Dublin Castle on April 24th 1916. He had been lulled into a false sense of security by failures in military intelligence, confusion that arose when a planned exercise had been cancelled by Eoin MacNeill, and the capture of Roger Casement during an attempt to bring arms onto Banna Strand in Kerry. Nathan was reportedly a hard worker on behalf of the British Empire in various parts of the world, and was clearly content to work within the established tradition of British rule in Ireland. After the ignomy of having to resign over 1916, Nathan spent four years languishing in administrative jobs in London. In 1920, he was appointed governor of Queensland, Australia, and became chancellor of its university in 1922. He retired to a country house in Somerset, and died on 18 April 1939. He was buried in the Jewish cemetery, Willesden, London. His book, The Annals of West Coker, which was not completed at his death, was published in 1957, edited by historian M. M. Postan.